Our goal was to be in the house by Christmas and though we hosted Christmas dinner here we didn’t actually move in until the day after Christmas. There was still work to do, though. 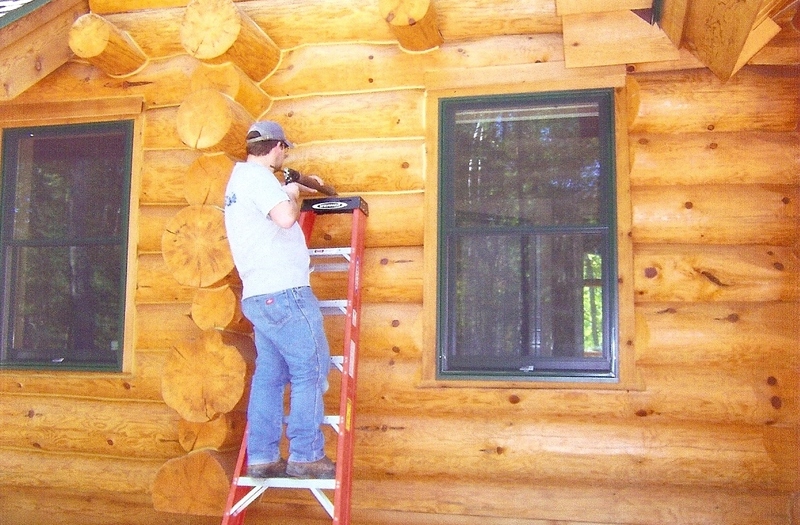 Some of the plumbing wasn’t finished until January and caulking the home had to wait a year until a lot of the settling had tightened the logs. It took an enormous amount of caulk and weeks and weeks of work for the guys from North Arrow Log Homes to laboriously channel thick beads of the stretchy stuff between every single log. There was much more work on the inside because of all of the interior walls. They had five gallon buckets, but they had to fill their caulk guns continually. They went up and down the ladders like mountain goats. 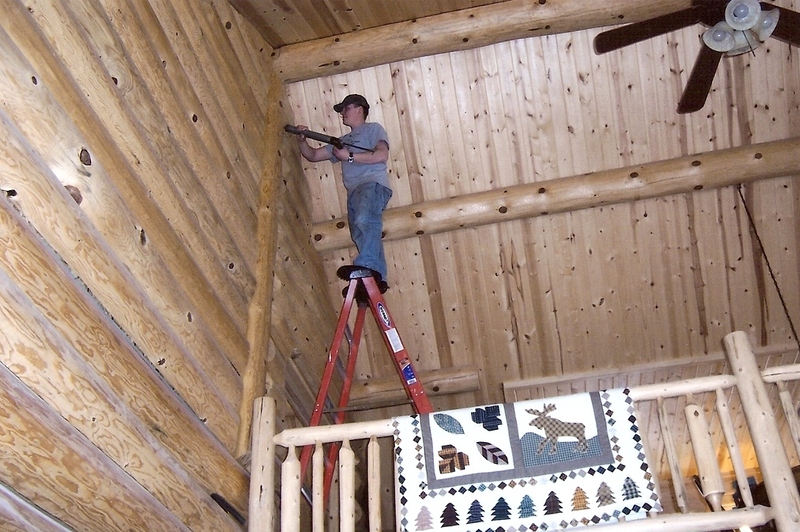 This picture shows Alex Rivers, the owner of North Arrow Log Homes, balancing on the very top of the ladder. I was afraid to use a flash when I took the picture.